What's the basis of our happiness? If it's our outward circumstances, we're all in trouble because sooner or later, these aren't going to be too good. Paul said he had learned the secret to living above life's circumstances. That secret was Jesus Christ. Jesus was his assurance that no matter how difficult our problems might be, they were not permanent. 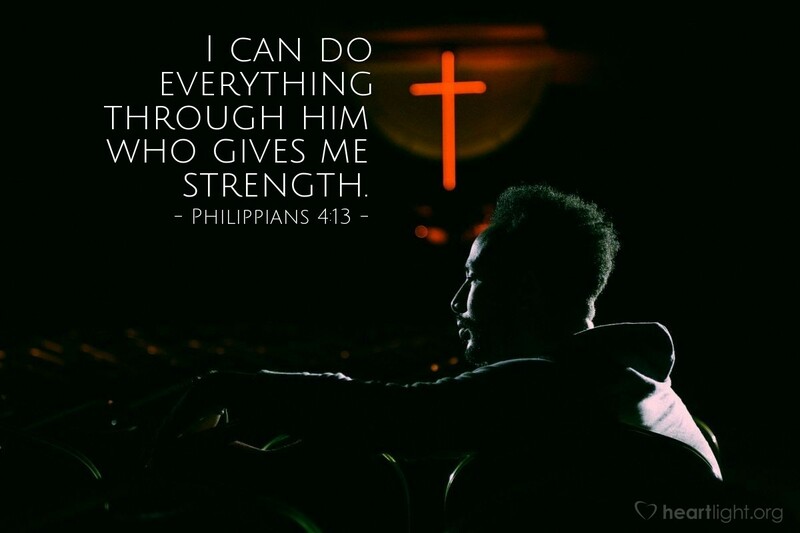 No matter how hard life was, Jesus would give him the strength to persevere. Paul is just as sure that Jesus will do this for you and me! God of glory and might, thank you for the stories of your great power in the Bible. They give me courage and hope when I face my problems. I believe Jesus can deliver me, sustain me, and uphold me through my difficulties today. Please forgive me for those times when I didn't turn to you and honestly talk to you about my struggles. O LORD, I need the strength, the comfort, and the presence of Christ today. In the name of my Savior Jesus, I pray. Amen.